Showcasing 21 hand-built bicycles that sit squarely at the intersection of design, craft, and art, Bespoke will introduce viewers to a range of contemporary designs. NEW YORK; NY.- Bespoke: The Handbuilt Bicycle, presented by the Museum of Arts and Design from May 11 through mid-August 2010, will display the designs of six internationally renowned bicycle builders whose work in metal, as well as graphics and artifacts, elucidate this refined, intricate and deeply individual craft. Organized by Michael Maharam, owner of the eponymous textile company and an avid bicycle collector, along with master builder Sacha White of Vanilla Bicycles in Portland, Oregon, this survey is presented as part of the MADProjects exhibition series, which explores emerging trends and innovations in the design world. "Bicycles like these are at once superb examples of contemporary design, masterpieces of time-honored artisanship, and works of art," states Holly Hotchner, the Nanette L. Laitman Director of the Museum of Arts and Design. "In presenting Bespoke in our MADProjects Gallery, we hope to provide our visitors an opportunity to appreciate bicycles on all of these levels, from the overall design to the exquisite details of each object." The craft of custom bicycle building involves master metalwork: bending, welding, carving and wrapping steel, titanium, aluminum and carbon. A graphic artist's eye is required in the application of paint and decorative flourishes. 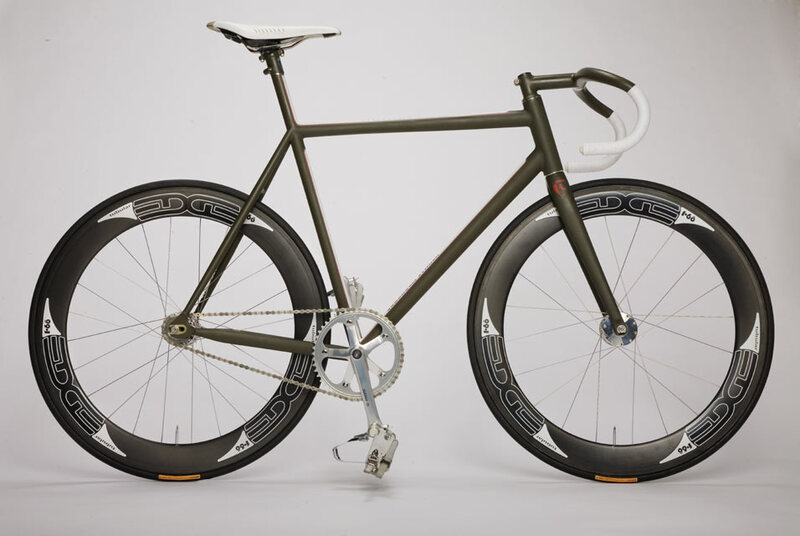 Whereas several varieties of artisan may be involved in manufacturing a factory-made bicycle, the custom models exhibited in Bespoke are the virtuosic productions of individuals. Despite the seeming simplicity of their forms and mechanics, bicycles offer a unique challenge to their makers. Rider and machine meet at three contact points - saddle, handlebar, and pedal. This extraordinary degree of integration, compared with that involved in almost any other type of sporting equipment, from soccer balls to sailboats, leaves greater risk of poor performance and discomfort if the connection between body and bicycle isn't seamless. The custom builder's chief preoccupation is therefore with fit; simply taking a rider's measurements may require more than two hours for a single commission. Every bicycle is a highly refined piece of engineering. The attention lavished on detail, which reflects the builder's sensibility paired with the rider's unique needs, turns custom bicycles into indisputable works of art. This is no less true of bicycles intended for such rugged applications as scaling mountains or crossing off-road terrain as it is of the streamlined models designed for road racing.